Staff were very accomodating. Cleanliness and amenities. Especially the infinity pool. Free shuttle going to GPO and Tumon. The staff was extremely friendly! I was surprised by how welcoming they were! My room had a great view and very comfortable bed. Staff are nice and hospitable, no complaints at all. Loved our room and the beach view! I'm 21 and I had fun at the slide and of course, the infinity pool. Food is great, too! Beautiful infinity pool. Nice views from rooms. Comfortable bed. For the price, and compared to other waterfront hotels, it’s a solid value. The staff are all accommodating. I never saw anyone not smiling. I loved how comfortable the beds were. I love the pools and the scenery. The view was amazing. Would definitely go back again. Hoping to have my wedding reception there. The breakfasts were to die for and the EGG MAN was most excellent. The view from my room was spectacular and the sunsets made it even better!!! 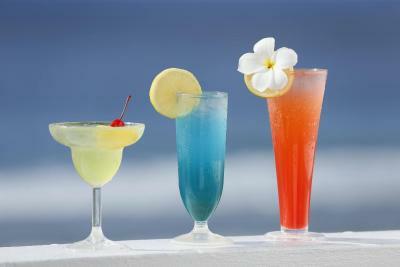 The pool bar was excellent and Rico made it that much more special. Loved the Beachside BBQ for lunch priced right and the food was always excellent. Every one on your staff made sure we were happy and having a good time. 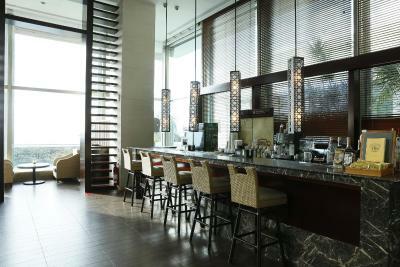 The night bar was always a fun place to top off the days events and Paul was excellent at his mixology. Entertainment there was always great. Wonderful stay at a great hotel. PS....The bed was awsume!!! Breakfast was good! Especially the pancakes. The pools were nice too. 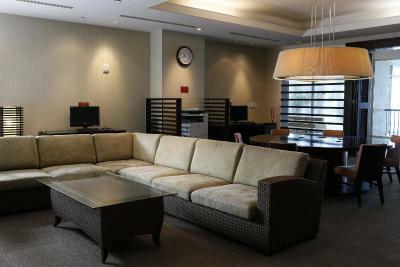 Sheraton Laguna Guam Resort This rating is a reflection of how the property compares to the industry standard when it comes to price, facilities and services available. It's based on a self-evaluation by the property. Use this rating to help choose your stay! 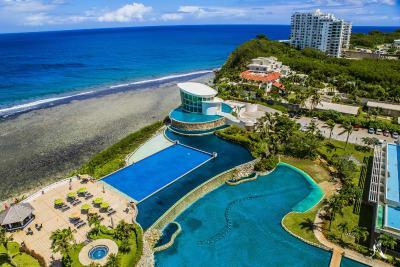 One of our top picks in Tamuning.This luxury 5-star resort, with spectacular views of the Philippine Sea and Pacific Ocean, features 2 outdoor pools, a 24-hour fitness center, 5 dining options and a cocktail bar. Free WiFi is available in public areas. 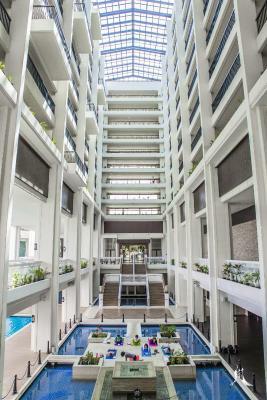 Sheraton Laguna Guam Resort is a 10-minute drive from A.B. Won Pat International Airport. Fort Apugan Lookout is less than 6.2 mi away. 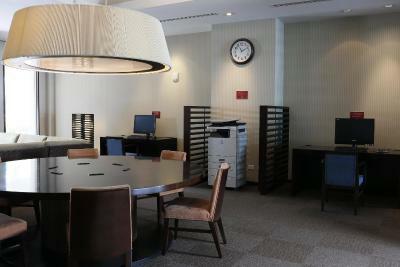 Cable TV, in-room movies and a DVD player are provided. Each room includes a mini-bar, coffee maker and a private bathroom with bathrobes, slippers and deluxe amenities. Some rooms offer ocean views. 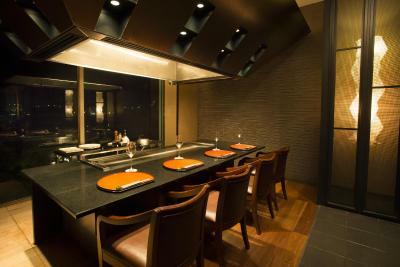 Dining options at the Sheraton Tamuning Laguna Guam Resort include international, Japanese, American and local cuisine. 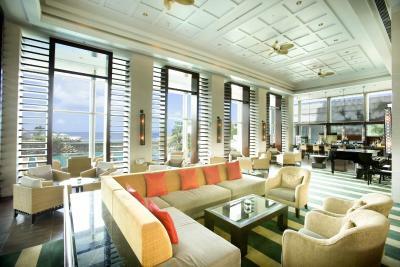 The Point café and lounge bar overlooks the infinity pool and ocean. 24-hour in-room dining is available. Facilities include valet laundry and dry cleaning, boutique fashion shopping, children’s activities and a 24-hour business center. 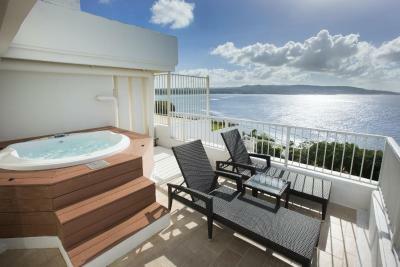 When would you like to stay at Sheraton Laguna Guam Resort? 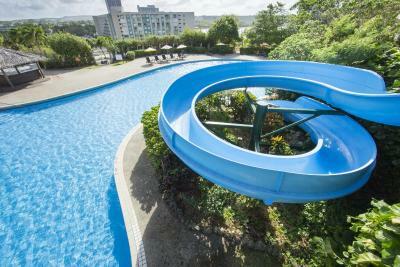 House Rules Sheraton Laguna Guam Resort takes special requests – add in the next step! A USD50 damage deposit is required 0 days before arrival. This deposit will be fully refunded 0 days after check-out, as long as there isn't any damage to the property. 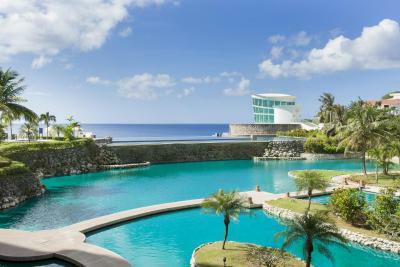 Sheraton Laguna Guam Resort accepts these cards and reserves the right to temporarily hold an amount prior to arrival. A damage deposit of USD 50 is required. You should be reimbursed on check-out. Check in and out is quite slow. Staff are trainees sesame mistakes were encountered. the staff was not that good. they made an error during our check-in, but was unapologetic. and they did not get back to my request even if they said they would. 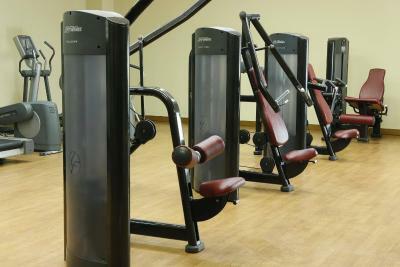 The view, the facilities and the staff. I couldn’t find a microwave in my room. I wanted to heat up my Olive Garden. The hotel rooms need renovation, especially the bathroom. The tap was almost broken and the shower was leaking while using. The staff for translation was not like a professional. Even though the pool was available before the check in, but she said I'm sorry but it's impossible. And the staff's in la Cascata was not good as well. They were so complicated to guide the table. I need to meet so uncomfortable situation with the other guests. I was with over 80 years old mothers in law and 10 month baby so I couldn't complaint it but it ruined my memory in guam. Im not gonna visit there again. while it seems not every worker knows good about it.One lady worker continued to refused to revise our reservation from mine to my husband, who has a Platinum elite membership even though booking app had revised ot, she still said it no way. 2. the bed is too soft. 3.make it clearly Sunday lunch is much more expensive than other days. 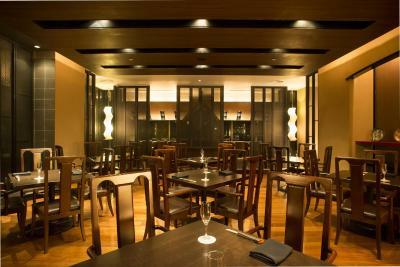 also an extra sunday brunch fee higher as 50% will be charged again over an almost double price as usual. Some issue with credit card payment system. Jacuzzi was not working when we visited. Poor front desk service . Not helpful Korean staff. Poor housekeeping. Rooms were not cleaned on a daily basis. We had to keep asking them if our room could be cleaned. When it was cleaned, it was sub standard - they changed the towels and did the bed but didn’t replace the cups, water, etc. Just wish we could have got earlier check-in. Dislikes: room comfort, cleaningness( towels and bed sheets had stains) bathroom was really old and still had shower curtains. Also the towels were also rather old looking. The beach by the hotel is not ideal for swimming as it is all rocks therefore we went to Tumon bay most of the time. The breakfast was overpriced for the quality and also it mainly caters to Asian travelers.